Aitken2 was founded when Glenn and Simon Aitken recognised with their combined 50 years’ experience and knowledge in Engineering and Accountancy they could support and guide SME’s through the R&D Tax Credit Scheme, simply and effectively. 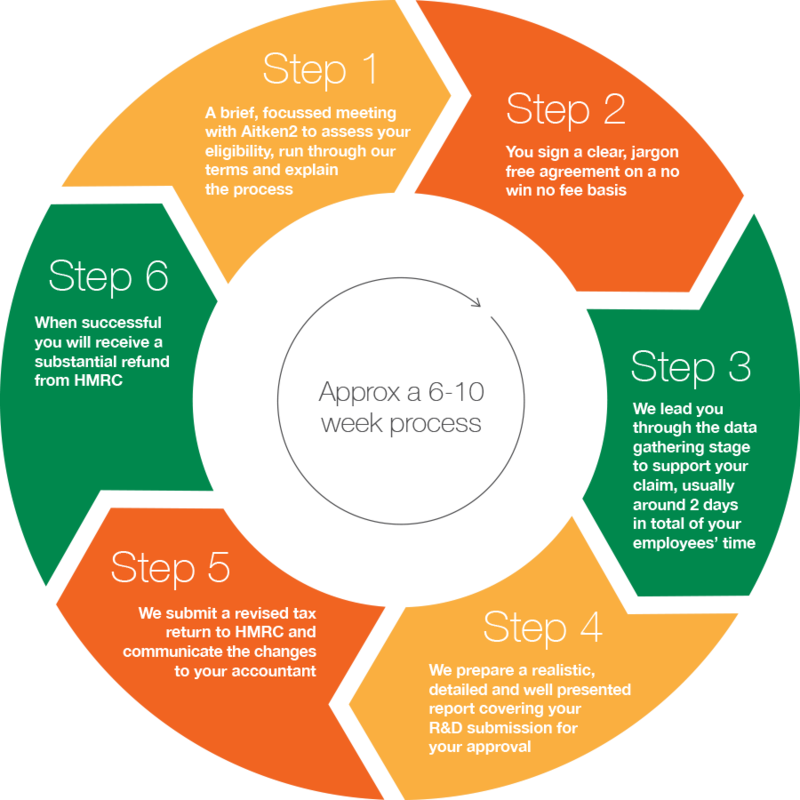 By focusing on R&D only they can keep up to date with the HMRC scheme as it has evolved since launch in 2005. Claims have been made across a number of Industries from Engineering to Glazing and from Consultancies to Software Design companies. We are very flexible regarding the business sectors we work with as our knowledge and expertise allow us to achieve a 100% success rate. We clearly understand the R&D process. Aitken2 have also worked in partnership with a number of Accountants to identify clients who would be eligible for R&D Tax Credits. Our clients like the Personal and Tailored approach that we give, we understand your business from Day 1 so that the claim process is clear and simple, but most importantly successful. Aitken2 have over 50 years’ combined experience in Engineering and Accountancy and we have proven that we know what we are doing. Being R & D Specialists we keep up to date with HMRC regulations and fully understand what level of information is needed for a successful claim.